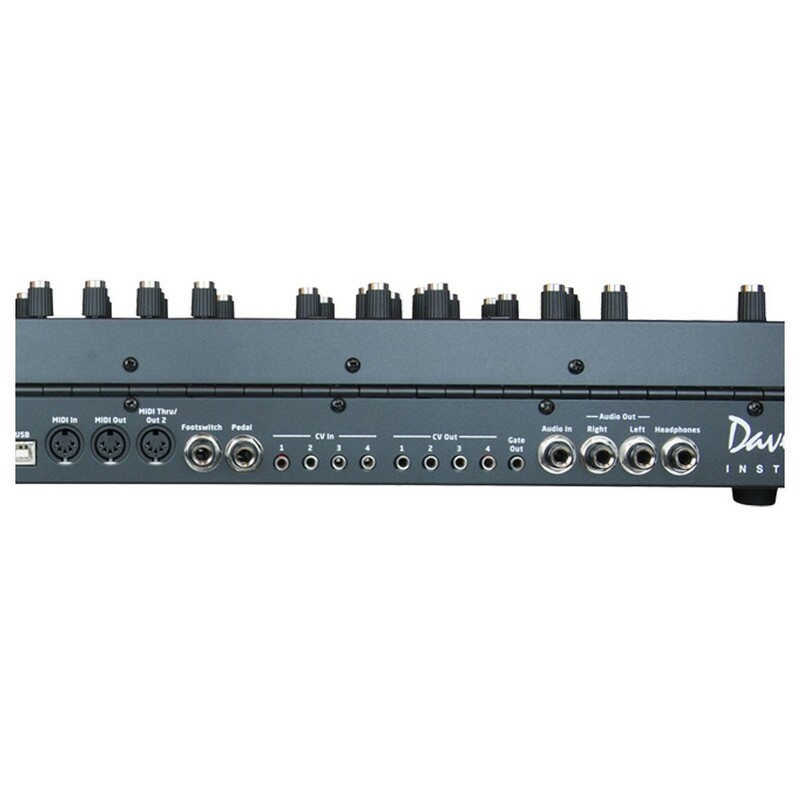 The Dave Smith Pro 2 Mono Synth follows in the footsteps of some of the greatest synths of all time, but with this project Dave Smith set his sights on creating the ultimate Mono Synth. 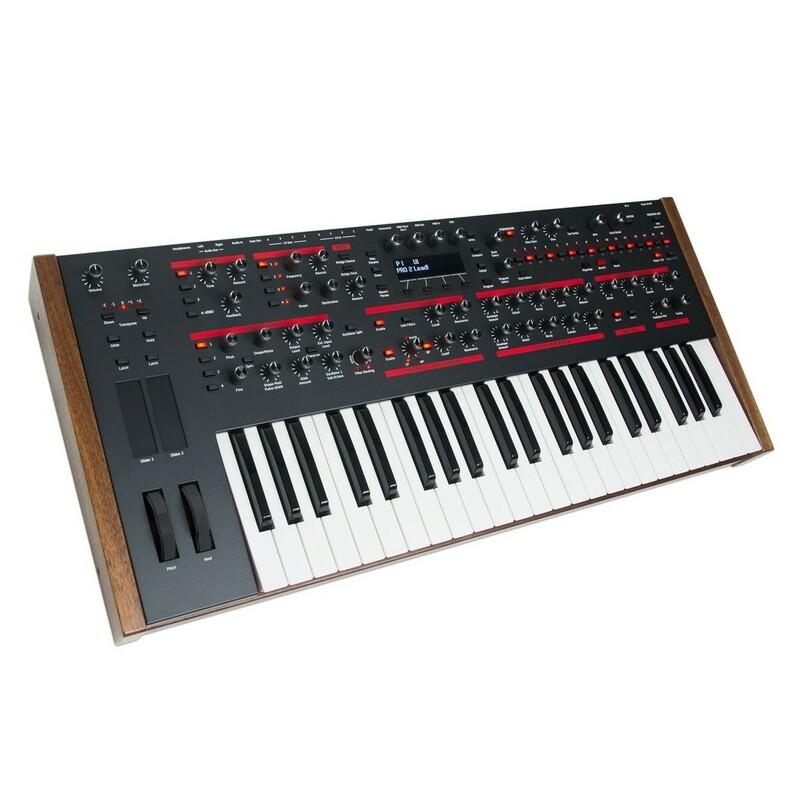 The Pro 2 is a hybrid instrument, which in this case means that it features 4 digital oscillators (plus sub-oscillator), which then run through completely analog circuitry. 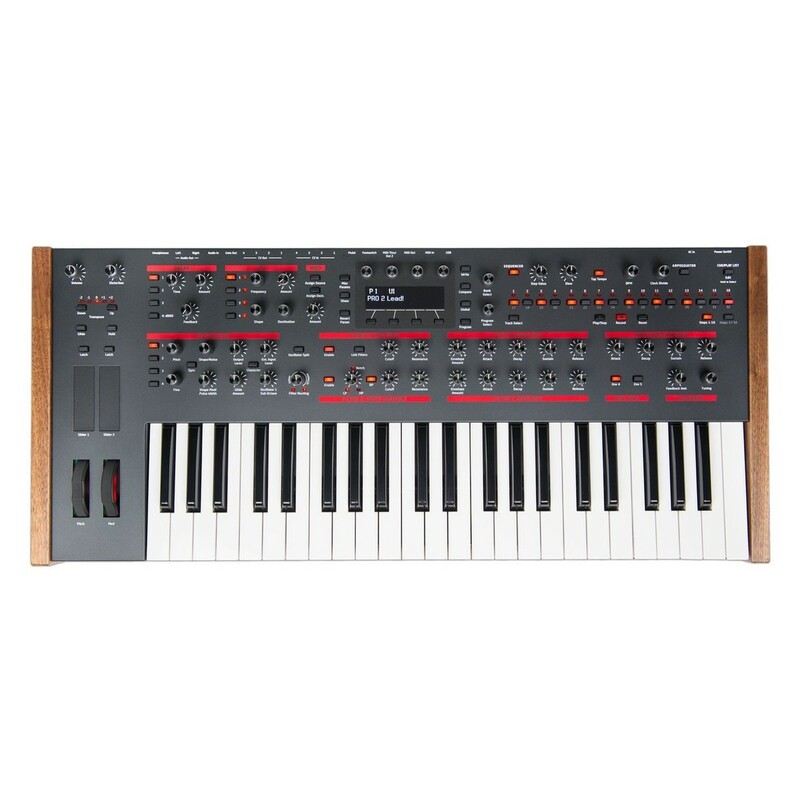 This analog circuitry includes 2 new analog filters, one low-pass and the other state-variable. 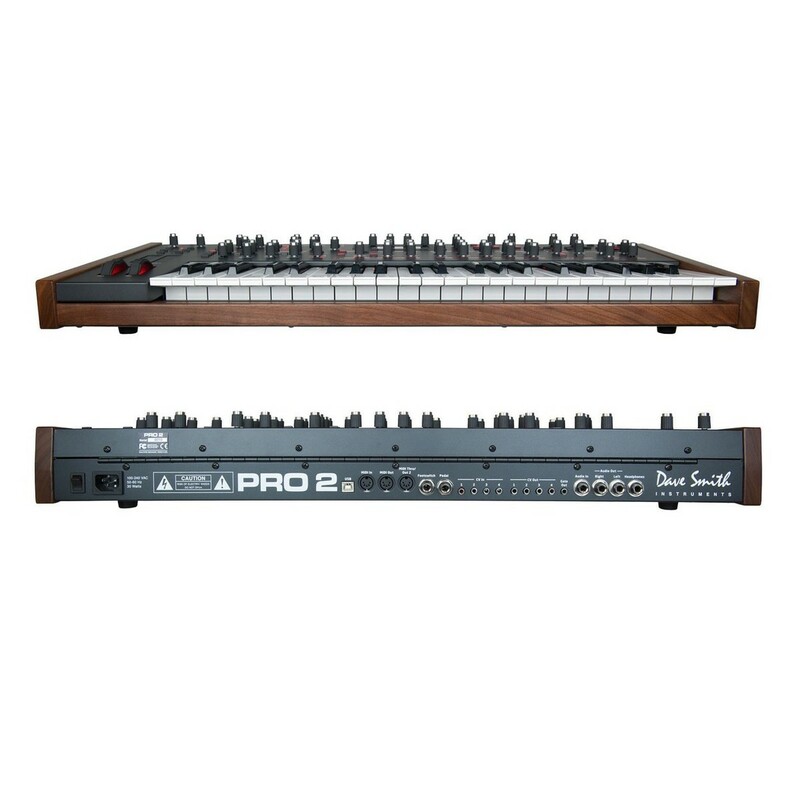 The Dave Smith Pro 2 comes complete with a X-Frame Keyboard Stand for improved stability. 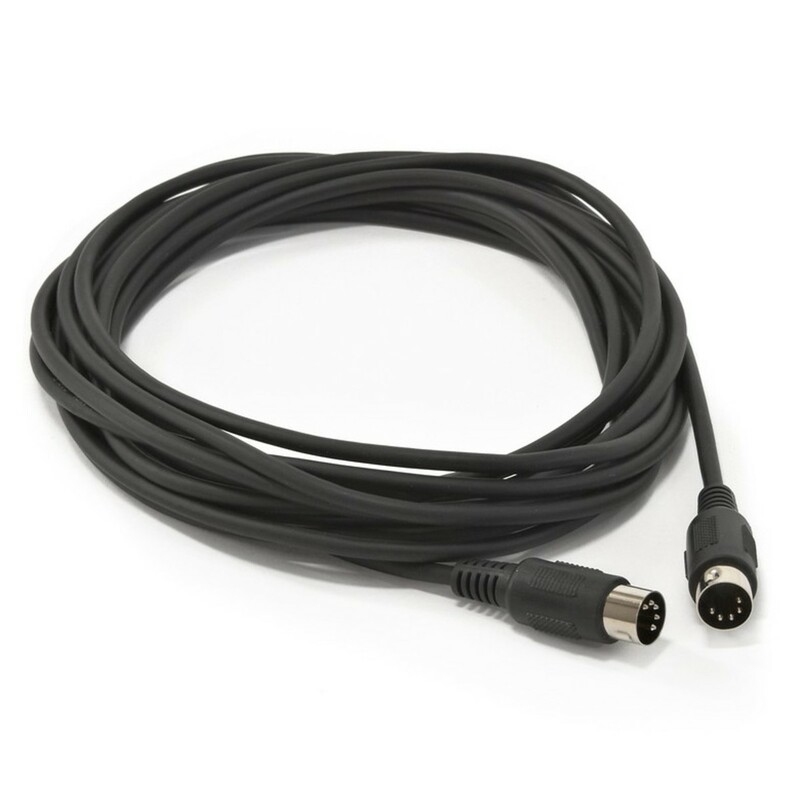 It also includes a MIDI cable and 2x Jack-Jack instrument cables measuring at 3 meters in length, ideal for connecting the Pro2 to external equipment. The X-Frame Keyboard Stand is a good quality, portable stand with a high grade steel construction for suitability and strength. The stand is foldable for easy storage and height adjustable to suit a range of players and set-ups. It has a smart black finish and protective rubber ends to prevent any scratches. 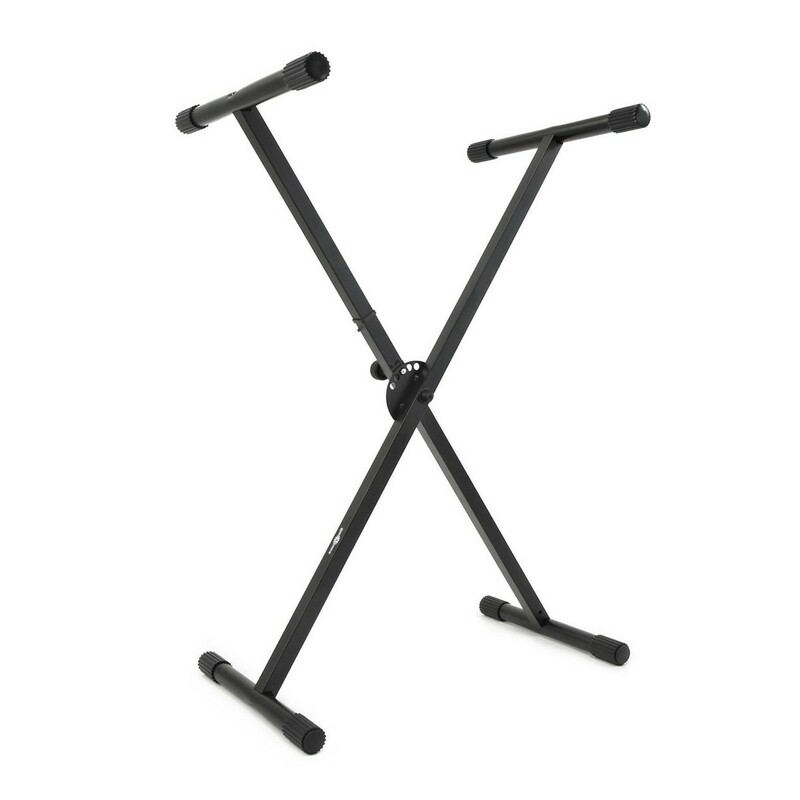 This X-Frame Keyboard Stand is fitted with rubber coverings on all contact points protecting your instrument and floor from scratches and slips. The rectangle section steel braces and round tube section feet and support arms are all durable and strong for secure positioning. 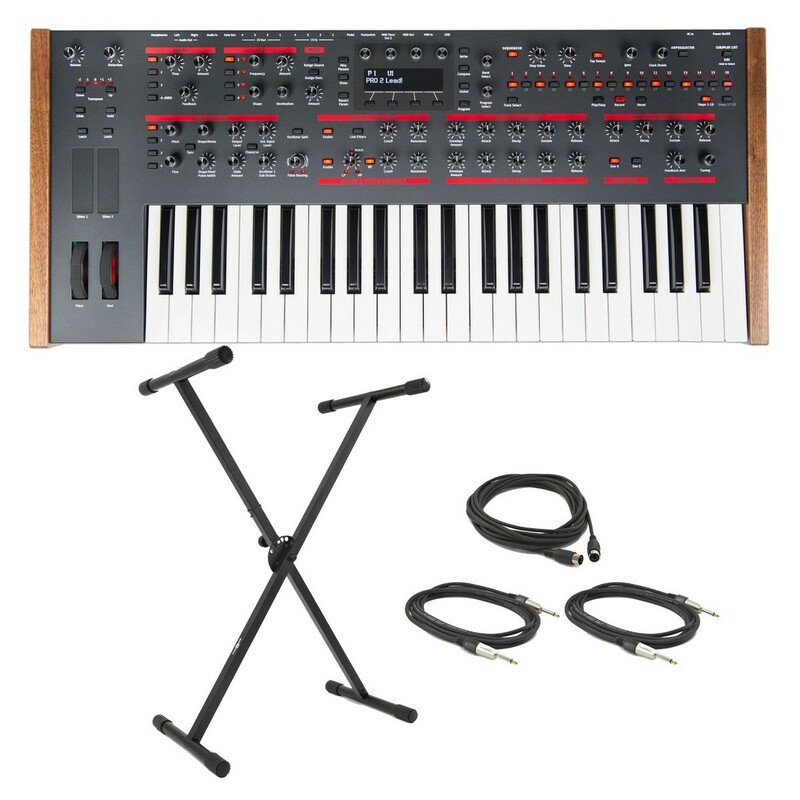 The keyboard stand has five easily adjustable height positions. The end pieces are detachable, and the stand folds flat for easy transportation and storage.